Custom Green Warriors badge for Hey Little Cupcake in Manchester. If you have visited spinning fields or the Trafford Centre you will have seen the guys at Hey Little Cupcake. We have been popping in since the day they opened their doors & can't recommend them enough. 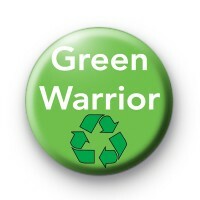 Custom designed Green Warriors badge. Standard 25mm button badge hand made in our UK workshop.